Barcelona is located in the autonomous community of Catalonia and serves as the capital of the region. Catalonia’s history, culture, and traditions are extremely important to those that live here and many appreciate if those visiting Barcelona are familiar with some of the basics. We’ve created a whistle stop guide to Catalonia, including information about the Catalan culture, a brief historical overview, and some key phrases to use during your stay. Catalonia first began as part of the Roman Empire, and Tarragona – a city an hour away from Barcelona – was originally used as the region’s centre. After the fall of the Romans, the area was ruled by the Visigoths, the Moors, and then the Franks. It was during this time that the county of Barcelona was created. 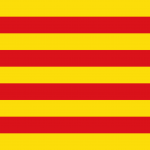 The first use of the term ‘Catalonia’ was in the 12th century, and after the fall of Charlemagne in this era, Catalonia united with the neighbouring Kingdom of Aragon. It was still part of the Kingdom of Aragon when Spain became unified following the marriage of Isabella and Ferdinand, but it operated as a separate region with its own language and laws. Although the King of Spain negotiated with the Catalan government regarding taxes, Catalonia remained under Spanish rule. However, everything changed during the War of Spanish Succession as Catalonia chose to turn their backs on Spain and support the Habsburgs during the conflict. After the Siege of Barcelona in 1714, Spain was unified under King Philip V who banned the Catalan language and culture as punishment for their choosing not to support him in the war. Nationalist sentiment in Catalonia grew in the 19th century and under the Spanish Republic in the 1930’s, Catalonia was recognised as semi- autonomous. This however was short lived as the region supported the loosing Republican side during the country’s Civil War in 1936. After Franco’s victory, the same suppression of Catalonia took place under Franco’s leadership. The Catalan language was banned and you could be punished for speaking Catalan in public. 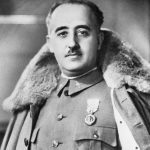 After the defeats of Hitler and Mussolini, Franco lessened the suppression of Catalonia in fear that he would lose his power in an uprising. After his death in the 1970’s, Spain became a democracy and allowed freedom of cultural expression. Today, many Catalans are trying to strengthen Catalan culture and language once again, still able to remember the terrible suppression under Franco’s rule. Catalan is now taught in schools and is one of the official languages of the region. The current independence movement started in the early 2010’s. Its supporters claim that while Catalonia is supporting the rest of the country economically, the Catalan culture is still not appreciated or encouraged enough by Spain. This sentiment lead to the referendum vote in 2017 where political leaders were arrested for inciting the movement. These political leaders are awaiting trial in prison while protests continue in support of regional independence. 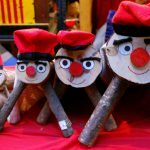 Some of the most important traditions in Catalonia take place around Christmas. One of these is the Tìo de Nadal, or Christmas log. Covering the log with a blanket, children ‘feed’ the Tìo with dried fruit and berries from December 13th up until Christmas day. On the 25th, they beat the log with a stick singing and encouraging it to ‘poop’ presents. This is how children receive their presents on Christmas day. Another Catalan Christmas tradition is the Caganer, a figurine squatting and defecating in Catalan nativity scenes. Typically, the Caganer is hidden in the nativity scene and children must find it each year. During the months of autumn, Catalonia celebrates La Castanyada This festival marks the end of summer and the beginning of the colder months. Traditionally, warm chestnuts are eaten along with Panellets (marzipan tasting almond pastries usually covered in pine nuts). During La Castanyada, All Saints Day is celebrated, commemorating loved ones who have passed away. An important festival celebrated in Barcelona is La Mercè, which celebrates the feast day of Our Lady of Mercy on September 24th. La Mercè lasts a whole weekend, and consists of other Catalan traditions like the Correfoc (a fire run), the Sardana (a traditional dance), Gegants (papier maché giants) and Castellers (human towers). September 11th is another important day in Catalonia, marking the defeat of Barcelona during the 1714 War of Spanish Succession. This day is now known as the National Day of Catalonia. Two smaller holidays celebrated in the region are the day of Sant Jordi and the day of Sant Joan. Sant Jordi (Saint George) is the patron saint of Catalonia, and on April 23rd (the day he died) locals exchange books and roses. Sant Joan (Saint John) is also an important figure in Catalonia and is celebrated in June 23rd. Celebrations include fireworks, bonfires, and a warm welcome to the sunny season in Catalonia. 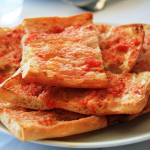 The staple dish of the Catalan region is pa amb tomàquet, toasted bread with tomato and oil. This is one of the region’s most simple dishes, but also one of the most delicious. Escudella (a stew with vegetables and meat) is served on Christmas day, while canelons (pasta rolls stuffed with leftover meat from the previous day and bechamel) is eaten on December 26th. From November to April, calçotada is celebrated, where catalans devour lots of grilled calçots (similar to onions, that are peeled and eaten with romesco sauce). Cava, Catalonia’s version of champagne, can also be traced back to this region, as well as moscatell, a sweet wine served during the colder months and especially during La Castanyada. Other traditional dishes include rovellons (big mushrooms with a red and orange colour), esqueixada (cod fish with vegetables, olive oil and vinegar), and butifarra (spicy sausage). Some typical regional sauces are allioli (garlic mayonnaise) and romesco, a spicy sauce with tomatoes, peppers, garlic, and olive oil. For dessert, Crema Catalana – a traditional crème brulee- is often enjoyed. Locals will appreciate it if you make the effort of learning even a few basic phrases in Catalan, after all, there are now over 9 million native speakers of the language! 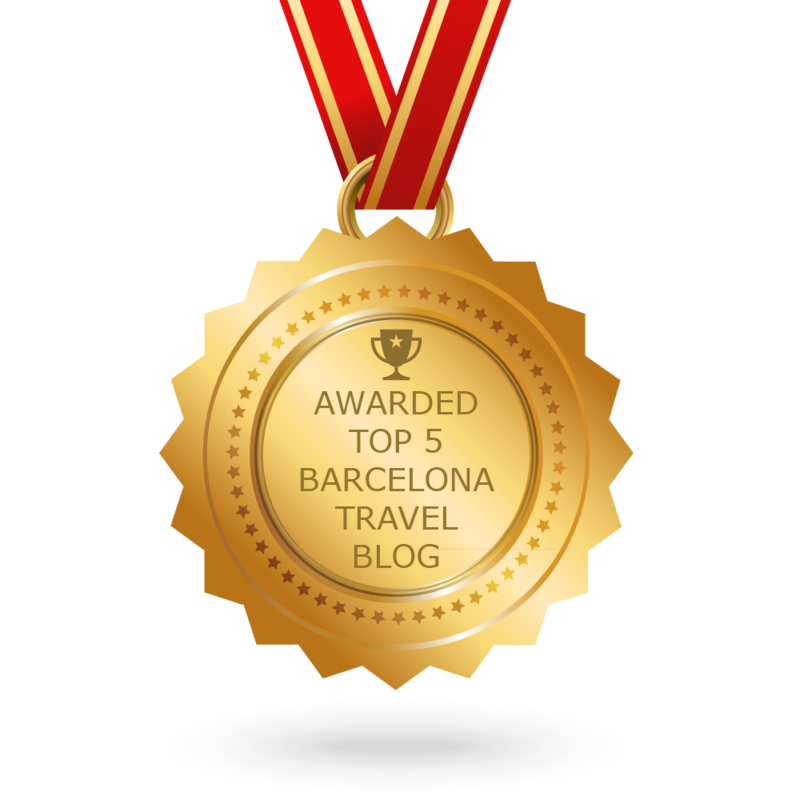 Let us know if you’ve used our basic guide on your trip to Barcelona. Christine is a Political Science and Journalism student from George Washington University currently studying abroad in Barcelona. She is a new contributor to Apartment Barcelona's Blog and Youtube account. 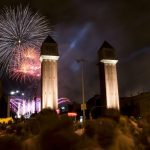 Next Article New Year’s Eve in Barcelona 2018 – The Biggest Yet!